Why Don’t Report Cards Look Like Social Media? Imagine it for a second. What if report cards looked like Twitter? Or Facebook? Or Instagram? I’ve heard a few people toss this idea around recently. At first, I couldn’t wrap my mind around it. But the more I pondered the idea, the more it started to make sense. Think about it. It could be really amazing. Students present images, video, audio, documents, or whatever else they can imagine. Teachers can comment. Parents can comment. Students can respond back. The most recent evidence is at the top. The feed automatically becomes an archive of prior work. Scrolling down shows where the student was compared to where they are now. A simple glance illustrates that learning is a continuous process that never stops. Tabs can divide the feed into subject areas. Or skills, standards, or grade levels. Clicking on them can reveal a more detailed picture of the student’s individual learning. Teachers can still enter in levels of proficiency, but perhaps that data can be presented in several awesomely customizable ways. Using science as an example, let’s think about a graph showing skills. Or another one showing genres. 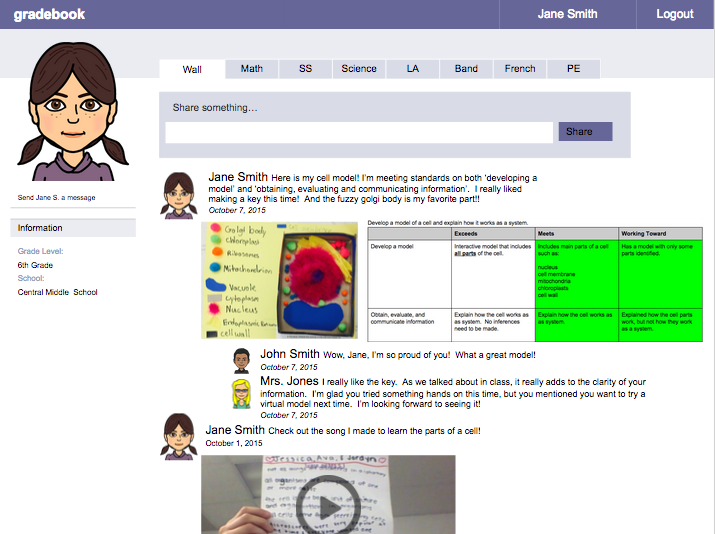 Maybe the data points would even be linked to the specific post on the main page, where students post their work. The really cool part about this kind of report card is that it combines the level of proficiency with the evidence of learning. It isn’t two separate pieces (which is what could be accomplished now, in a variety of different ways). Levels/grades aren’t pulled apart and looked at separately from the evidence. It’s a portfolio and a report card in all wrapped up into one. Honestly, school’s not the same as it once was. Let’s not keep report cards the same as we always have. Let’s start looking at reporting through a different lens and really figure out what would be the coolest, most meaningful, and most impactful way to show off student learning. Maybe that could be a report card that looks like social media? Maybe it looks like something else … but maybe it’s time we started thinking about it. Wow, I love this idea! Have you tried anything like this? Google Sites could be a great tool for this…. Thanks! I love it too. Currently, my students are using Weebly. However, in my dream world … this would be all in one. 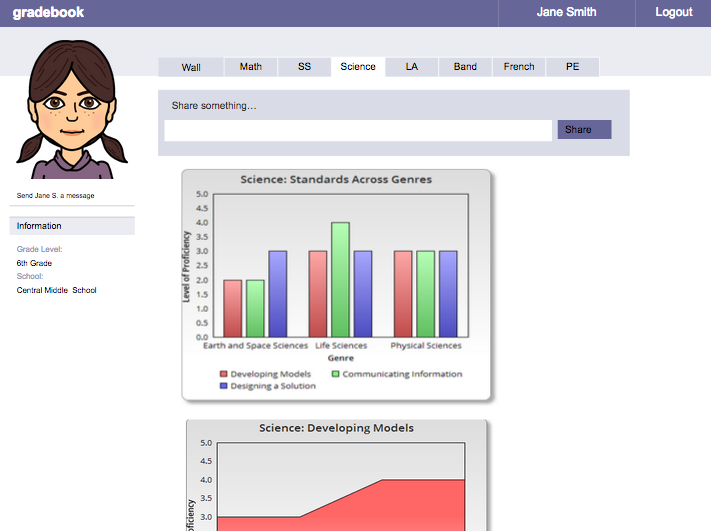 We are piloting TeacherEase for a grade book option next year, and it has some things that start to walk towards this. I do know some districts that are developing their own independent reporting system though. Cool stuff.